Given the important role food plays in Chinese culture, it is not surprising that the Chinese have developed strong traditions with respect to meal planning. Many foods have symbolic connotations, representing everything from wealth to a long life. The Chinese approach to the preparation and serving of food is very different from what Westerners are familiar with. A Chinese meal might begin with soup and appetizers. However, soup also may be served with the other main dishes—soup is considered to be a beverage, and is often the only liquid served with a meal. This is particularly true of "thin" soups, such as egg drop soup. Instead of a main course, several different dishes are served. The dishes are all served at once, communal style, with everyone helping themselves from the same dish. (A serving hint: for casual meals people often dispense with serving spoons altogether, relying on their chopsticks instead). For dessert, the Chinese normally prefer fresh fruit. When they do indulge in something special, instead of being loaded with sugar, the desserts are frequently filled with sweet and savory ingredients, from taro to sweet red bean paste. And what about tea? After all, tea is China’s national drink. There are literally hundreds of types of tea cultivated in China. However, tea is frequently drunk after, instead of during, the meal. This allows the tea drinker to take full advantage of its ability to aid in digestion. A notable difference between Chinese and Western cuisine is the importance of grains. Chinese cooking is really grain- and vegetable-based, with meat, seafood, or poultry playing more of a secondary role. A proper Chinese meal always contains an equal balance of fan (grains, rice or other starches) and cai (cooked meat and vegetables). 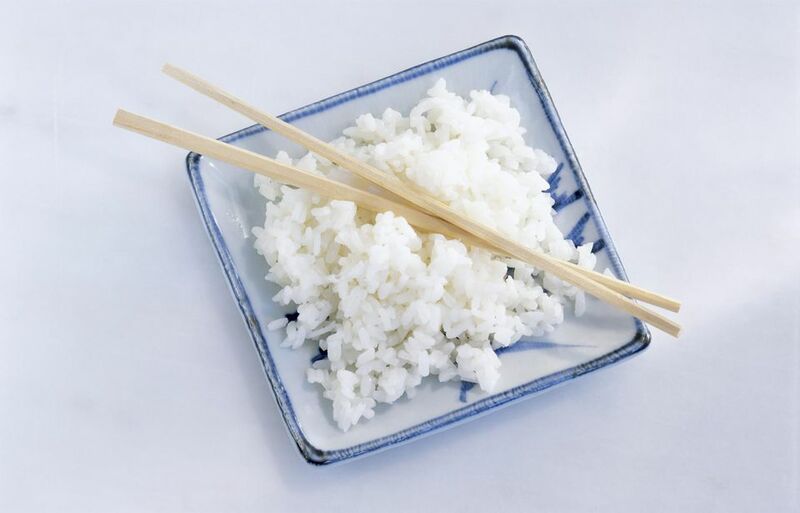 The grain portion of the meal frequently consists of rice—it's nearly impossible to exaggerate the importance of rice in Chinese culture. However, it also might consist of a noodle dish, particularly in northern China. What really sets Chinese cuisine apart from Western cuisine is the harmonization of the food. For example, cookbook author Helen Chen writes that her mother never served two spicy dishes or two beef dishes in the same meal. Instead, Chinese cooks strive for a contrast in taste and textures, serving a crisp dish with a soft one, or a bland dish with a spicy one. Furthermore, each individual dish should be visually pleasing—think of the riot of color in a plate of stir-fried beef and broccoli with carrots, for example. The importance given to harmonizing the food is not just for aesthetic reasons. The ancient Chinese philosopher Yi Yin theorized that each of our taste sensations (sour, sweet, salty, bitter, and piquant) is linked to one of the body's five major organ systems. Therefore, balancing them is a way to maintain good health. How Much Food to Serve? As for how much food to serve, plan on having a number of dishes roughly equal to the number of people that will be eating. For example, the menu for a family of 4 or more could consist of one vegetable dish, one meat and one poultry dish, rice, and soup. If you’re just learning to cook Chinese food, you might want to start with one Chinese dish and serve it with other dishes that you're more familiar with until you get more experience. Once you’re more comfortable with Chinese cooking, try to strive for variation in the flavors, textures, and the method of cooking the food. This may sound difficult, but deep-fried dishes can be prepared ahead of time and kept warm, while steamed dishes don’t require a lot of attention, freeing you to focus on a last-minute stir-fry. Cream Corn Soup Recipe: The soup is an easy recipe, using canned creamed corn, and can be made ahead of time and reheated if desired. Spareribs with Hoisin Sauce Recipe: The spareribs are marinated overnight. They can either be baked ahead of time and reheated, or cooked (along with the rice). while you're stir-frying the beef with snow peas. Stir-fried Beef with Snow Peas Recipe: Since you will have time, this should be prepared at the last minute. Cooked Rice Recipe: This can be happily cooking away when you reheat the spareribs.